Supplies Over Notepads In Front Of Chalk Board. 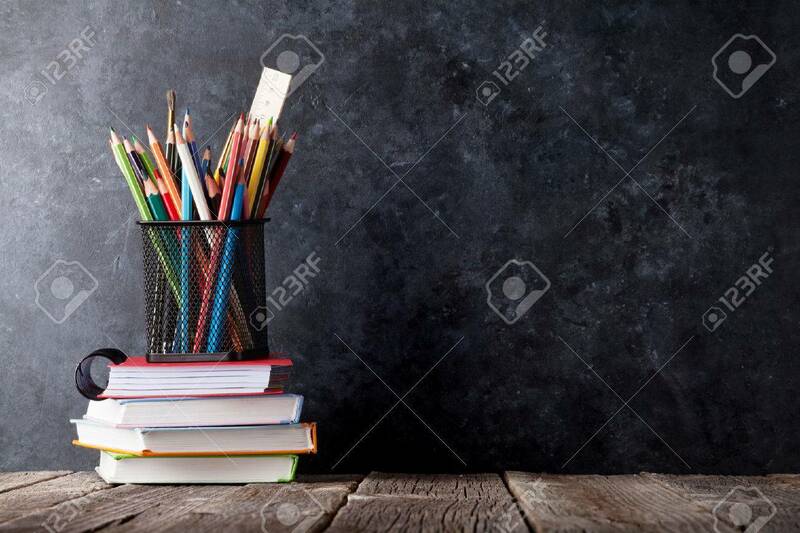 Back To School.. Stock Photo, Picture And Royalty Free Image. Image 60510417.